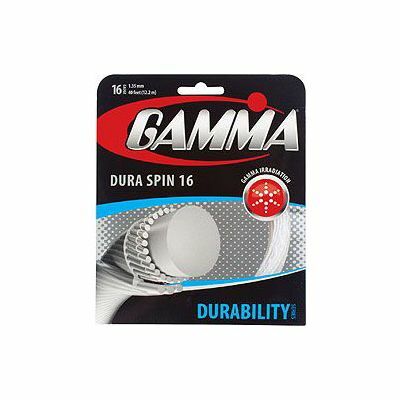 The Gamma Dura Spin 1.35mm tennis string set has a length of 12.2m (40ft), which is enough to re-string one racket. The Dura Spin is a good performing string with a 16 (1.35mm) gauge and an extra outerwrap for excellent spin and control, which makes it an ideal choice for topspin players. It features a Dynalon centre core and thick Dynalon outerwraps with Nylon 6 coating for extra durability. 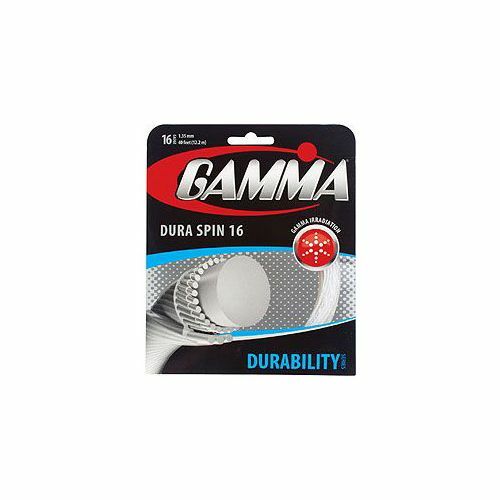 for submitting product review about Gamma Dura Spin 1.35mm Tennis String Set.